Home education is covered under The Education and Training Reform Act 2006 and The Education and Training Reform Regulations 2017. Registration is compulsory between the ages of 6 and 17. If a child is five now but will be six in 2019, you can register them for 2019 now. Registration is not a legal requirement until their sixth birthday, so if they aren’t six until August, you can choose between registering for the start of the year, or just in time for their birthday (around a month beforehand is recommended). The advantage of registering later is that their registration will not be included in the review pool for 2019 i.e. 10% of home ed registrations are drawn for review each year. This draw happens in February and includes anyone registered at that time. If your child will NOT turn six in 2019, you can’t register them for the 2019 school year. Remember, home education can commence any time, registration is only required as at their sixth birthday i.e. registration and education are two different things. FOR CHILDREN AGED 6-16 registration is compulsory – see details below. Registration is no longer required by law, but optional registration is available through to age 18. FOR 18-YEAR OLDS: It is not possible to register someone aged 18 or over. information and communication technology, and design and technology. for the first 12 months of registration. Learning Plans are not expected to be voluminous documents; templates and samples are available. You can seek an exemption from one or more learning area. The reasons for applying for an exemption are not limited, but can include disabilities, permanent or temporary additional learning needs or circumstances, electives or the parent’s limited capacity for a learning area (e.g. LOTE). No medical evidence is required. Members can email support@home-ed.vic.edu.au for feedback on their plans before submitting. Include your membership name. Approval takes up to 28 days and children are required to stay in school during the approval period. However, if your children would be at risk by remaining in school, request the principal’s approval to remove them and remove them immediately (with or without approval). If your school gives you trouble, you can check where you stand under the School Attendance Guidelines. HEN can provide support if needed. If your child has previously attended a school, it is considered a matter of politeness to inform the school that you will be home educating from now on, and that you have registered with the VRQA according to the regulations. School staff might request a copy of your VRQA letter to complete their paperwork. If your registration is rejected you can reapply or appeal. There is no requirement to follow the state curriculum and there are no compulsory home visits. You may home educate in any manner you choose as long as your substantially address the eight learning areas, taken as a whole. It is your responsibility to renew your registration each November. Renewal involves notifying the VRQA of your intention to continue, no learning plan is required. The VRQA send out a courtesy email reminder. You are required to notify the VRQA of any change of name or address and if you cease home education. You’ll be notified of the review early in the year (Feb March) and approximately when your review will take place. It is your responsibility to ensure the VRQA has your current address. You’ll be contacted closer to the review with a firmer timeline. A review involves you articulating or demonstrating that your child is receiving an education that broadly addresses the 8 KLAs. You can choose how to do that. The review is NOT against the Vic Curriculum or year levels. In a review you will be asked to demonstrate that your child is receiving an education that substantially addresses the eight learning areas, there is no mandated way to do that – it could be by a phone chat/interview if you wish or by submitting work samples/journal/spreadsheet etc. HEN recommends some form of record-keeping in preparation for reviews. The VRQA can ask for additional information if they are not satisfied with what you provide. If still not satisfied, your registration can be cancelled. You can appeal a cancellation decision. Travel is permitted under Victorian home education registration as long as you have a Victorian residential address and intend to return to Victoria. The VRQA need to be informed if you intend to be away for months. The NAPLAN is not compulsory but arrangements can be made to participate through their local government school. Home education is covered by the Education Act 1990 and registration is handled by the Board of Studies. The registration process requires a home visit and approval of documented lesson plans following the state curriculum. The whole process takes three months and registration, if approved, needs to be renewed annually by going through a similar process each time. There is provision for those who conscientiously object to registration to apply for an exemption from registration but they need to demonstrate that registration would have been granted had they applied for it. NESA’s Homeschooling Registration page contains the application form and registration information. Under the SA Education Act 1972, children of compulsory school age (at least 6 years old but not yet 17 years old) must be enrolled in, and attending, a government school or a registered non-government school in SA. Parents wishing to home educate must enrol in a school and apply for an exemption from attendance. 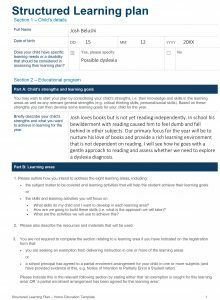 • An appropriate learning programme aligned with the South Australian Curriculum Standards Accountability (SACSA) Framework. This covers eight learning areas: English, Maths, Science, Design and Technology, Studies of Society and Environment, The Arts (Music, Art, Dance, Drama), Health and Physical Education, and Language Other than English (LOTE). • The name of the person responsible for the educational programme. The application must be signed by both biological parents (except where one is excluded from custody/guardianship by a court order). The Home Education Project Officer will arrange a home visit to discuss the application in detail and then make a recommendation to the Director. School attendance is required until the application is approved. If approved, an exemption will be granted for up to 12 months. Annual reviews include discussion of the child/ren’s progress. provides a reference point for queries, responds to community concerns and maintains liaison with other agencies about home education. THEAC is made up of Ministerial appointees and home education representatives who are nominated by the home education community. Their website contains information on how to register as well as useful links and information, and they also run information sessions. 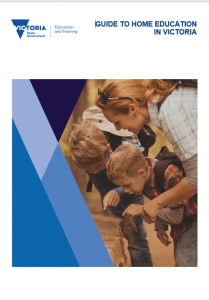 Much more details on the requirements is detailed in the information booklet Understanding the Home Education System in Tasmania produced by our sister group HEA-TAS. Part-time school attendance is possible. A parent applies for home education registration using the application form, and they are granted provisional registration (60 days) while their application is examined. The application must be accompanied by a detailed report of the educational plan or learning philosophy to be used. If the application is accepted, registration is granted for 12 months and renewals are subject to satisfactory reporting. Parents are supplied with report preparation information annually. Reports include annotated examples of the child’s work and an overview of the learning taken. • usually resident in Queensland.The parent accepts the responsibility for educating their child at home using an educational programme or learning philosophy developed or adapted by them or by a registered teacher, primarily at the child’s usual place of residence. Student ID cards are available if required. Registered home educators have access to NAPLAN testing should they wish to take part. Also the Home Education Unit is affiliated with the Queensland School Sports Association and can facilitate the participation of home educated students. For year 10 students, Learning Accounts are opened with the Queensland Studies Authority which enables students in the senior years to bank credits towards a Queensland Certificate of Education (QCE) if they are studying accredited subjects (eg through TAFE). Students in year 12 who wish to sit external examinations can make arrangements with the Queensland Studies Authority. Home educated students (Years 10-12) are also able to undertake a school-based apprenticeship or traineeship. The policy and an application form can be downloaded from the website along with documents designed to assist with planning a programme to meet the requirements. Registration is compulsory from the beginning of the year in which a child turns 5 years and 6 months, until the end of the year in which they reach the age of 17 years and 6 months, or the student reaches 18 years, whichever happens first. Parents apply through their local district office of the Education Department. Each district has its own version of the application form. Under the Act, all you need to provide is your name, your children’s names and birthdates, your address and a contact phone number or email address. You will receive a request for a meeting with a moderator three months from initial registration. This is for the moderator to introduce themselves. A further visit will be scheduled for later that year when the home educator is required to demonstrate each child’s progress and from which the moderator will prepare an evaluation report. Yearly visits are then standard. Meetings can take place at your home, the moderator’s office or at a neutral venue. Home educators can determine their own philosophy and style as long as they cover the eight key learning areas (The Arts, English, Health & Physical Education, Technology and Enterprise, Mathematics, Science, Studies of Society and the Environment, and Languages other than English). The NAPLAN test is optional. Contact your moderator to arrange if desired. Your local Education District Office – contact details for each district office can be found on the Department website. HEN has a sister organisation in WA called the Home Education WA. You will find them invaluable for local knowledge, information and advice including your rights in terms of moderator visits. Registration is required with the Liaison Unit of the ACT Education and Training Directorate in accordance with the Education Act 2004 . We have extracted the most relevant sections for you in the attached PDF. Applications are made to the Liaison Unit and automatic provisional registration is granted for six months. A home visit is scheduled with an Authorised Person from the Liaison Unit after five months, with the home educator providing a Home Visit Parent Report at least one week prior. A template for this report is supplied by the Liaison Unit. A certificate of registration is provided for a period of up to two years. Annual reviews include reporting and a home visit – this may be extended to two years if your registration is for two years. Parents are not obliged to follow the national curriculum but are advised to be familiar with it. Students have access to the NAPLAN if their parents wish, and there is provision for part-time home education. Parents are required to seek approval from the Department of Education and Training (DET). 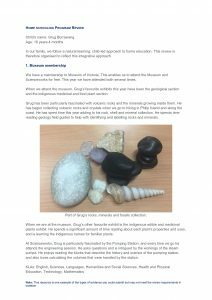 This new Education Act has recently come into effect and the requires home educators to use the Australian Curriculum or an alternative curriculum approved by the Australian Curriculum Assessment and Reporting Authority (ACARA). Exemptions to this apply to families currently approved. Participation in the NAPLAN is not compulsory but can be arranged on request. There is an allowance under the Education and Training Reform Act 2006 for home educators to enrol part-time in a school. Families who wish to do so need to contact the principal of their neighbourhood school to discuss a workable arrangement, but principals do have the right to decline the application if they have reasonable grounds, such as a cap on numbers in the class you are applying for. It is recommended that any interested families read the full guidelines before approaching the school. You can download a Word document with the partial enrolment guidelines (Word) or (PDF) is also possible to enrol in a school other than your neighbourhood one at the discretion of the relevant principal. Provision also exists under the ACT Education Act 2004 for part-time home education. iii. lodge a copy of the agreement with the Liaison Unit. The application for part-time home education registration documents the agreement between the school and the home educator. The agreement shows how the combination of home and school education will provide a high quality education for the child and notes the roles and the responsibilities of both the parent and the school. The original agreement should be held by the part-time school. Copies of the agreement should be held by the home educator and the Liaison Unit. Part-time home education is not permitted in some states e.g. NSW and WA. To enquire in your state, contact the relevant authority listed in this legal section. The downloadable pdf is a feature from Otherways magazine detailing the experience of several home educating families with part-time school attendance. The most common reason for home education to come up in court cases in Australia is in divorce proceedings. Basically, it is like two separated parents having opposing views on which school a child should attend (see The Age: Kids lose as divorcing parents ‘slog it out’ over public v private schools), and the court having to make a decision. The pdf is an extract from an Otherways magazine feature on the issue. Jeannie runs a no-cash consultancy and has survived the family court with her home ed status intact and gone on to educate five of her children to university, with three still learning at home. Her service is worth checking out at Our Mob.